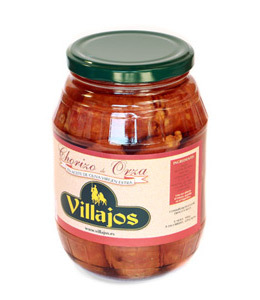 The traditional Manchego dish of chorizo preserved in a small earthenware jar receipt is as follows: the pork chorizo is fried on a slow heat with Villajos extra virgin olive oil and that way it takes a succulent taste and aroma. 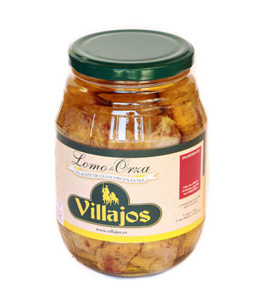 The traditional Manchego dish of loin preserved in a small earthenware jar receipt is as follows: the pork loin is fried on a slow heat and then preserved in Villajos extra virgin olive oil and that way it takes a succulent taste and aroma. 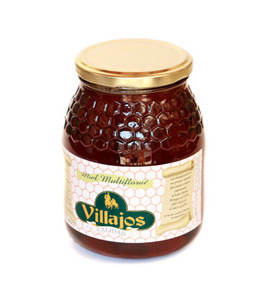 The Villajos multi-flower honey is a natural, aromatic and Mediterranean honey. It is made from the nectar of several different plant species and with very different proportions. Its unmistakable aroma and taste make it the ideal accompaniment for cheeses, pastries and fruits. Net weight: 500 gr. and 1 kg. These chickpeas have been naturally farmed without chemical products. 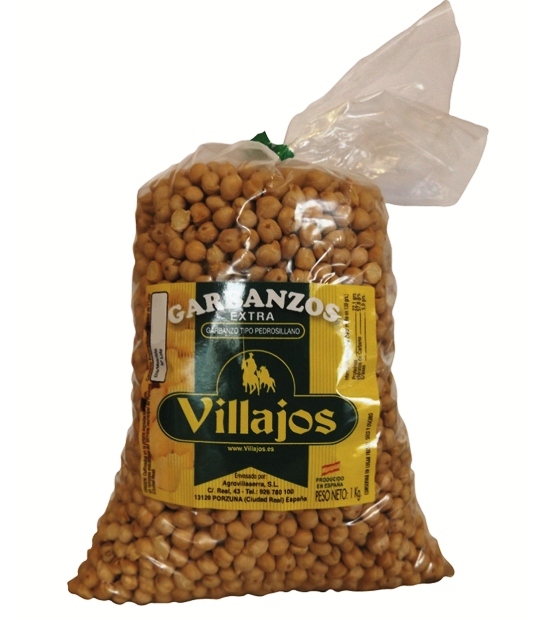 High quality, soft and uniform chickpeas. With a smooth and soft peel.